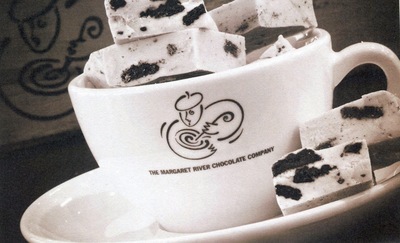 Margaret River Chocolate in the Swan Valley is an experience highly recommended for anyone aged 2 to 92. 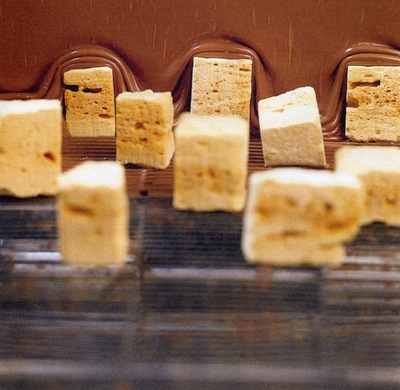 This is the ultimate chocolate experience where everyone can unleash their inner child. As you make your way from the parking lot and walk up that imaginary chocolate brick road, to 'somewhere over the rainbow', your taste buds begin to quiver at the exhilaration and prospect of so much delicious chocolate. When you enter through the door the chocolate aroma hits you like a ton of bricks and spirals you into chocolate heaven. This is a naive ecstasy that is difficult to describe. Drooling you make your way across to the large bowls of free chockie buttons and you eagerly dig for a bit of dark, milk and white chocolate, and in your heart you feel you're never going be the same after this experience. After cramming your hand full of these free treats you can observe the decadence of your surrounds, and spy the 'viewing' glass window that shows you the routine of chocolate making. 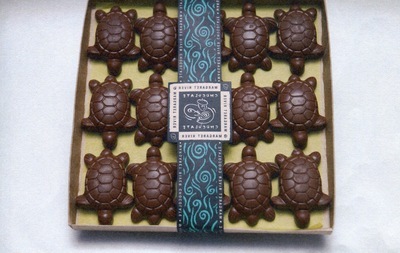 There is chocolate to delight every taste and every type of imagination. Big chocolates, little ones, fat ones and thin ones, filled ones and solid, some with nuts and others clustered, white, dark and milk chocolates all displayed in to tantalize and torment your taste buds and your pocket. Behind the vast counters are selective chocolates that you can fantasise about as you choose all your favourite delights. Just when you think you've been through it all you discover, hand made truffles, novelty chocolates, ice creams, chocolate milk, chocolate cakes and chocolate deserts. At the Café you can enjoy a delicious selection of cakes, desserts, chocolate fondues, hot and cold drinks and arguably the best hot chocolate in Western Australia. You can sit down with a sigh of relief to rest your wary shaking legs and have a 'cuppa' of chockie infusion or just a relaxing tea. Whatever you choose the cafe has some tasty rewards and the end of your tour. 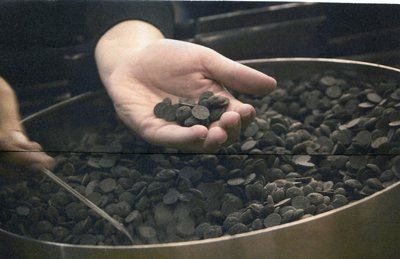 The Margaret River Chocolate Company has been making chocolate products since 1999 and has factories both in the Margaret River and Swan Valley wine regions of Western Australia. Its open every day 9am to 5pm, except Christmas Day. You can join the 'on-line Chocolate Club which will introduce you to their 'Chocolate Club Newsletter' for all of the inside goss.